Brokers Promo - Write Us to Help You select the best broker. EverFX is an international online trading broker and is operating successfully around the globe. Now thanks to their great business, they can offer some great forex promotion to their clients. The sponsorship deal with FC Sevilla gives EverFX an excellent opportunity to have one of the most special forex promotion in the world. In this article, I will tell you what forex promotions is EverFX offering. Also, what you need to do to be eligible to participate. So, let’s hop on into it so you can win a PRIZE! EverFX Global is a trade name of ICC Intecertus Capital (Cayman) Limited. They are registered and authorized in the Cayman Islands by the Cayman Islands Monetary Authority. The EverFX was founded to create a close partnership between the traders and brokers. They wanted to educate traders on how the financial market works. Also, their client approach is excellent especially if you are just starting you will get as much help as you need. If you want to learn more you can check in our article reviewing EverFX, so go ahead and check them out, but first let’s take a look at what kind of forex promotion they are offering. This might be one of the best Forex promotions ever. I mean if you are a giant football fan, as I am, this might be the broker you are looking for. Thanks to EverFX’s sponsorship deal with FC Sevilla, this makes it one of the best forex promotion. So let’s see what EverFX has as promotions. EverFX and FC Sevilla signed a sponsorship deal until the end of the 2018/2019 season, and they have an option to extend the deal until the end of next year. This deal was a significant step for the company. With the sponsorship deal, they showed potential that they can be on top in the Forex industry. Also, the deal made sense for both FC Sevilla and EverFX since they share the same values, principles, and ethics. So, the EverFX promotion has got from FC Sevilla is that they are giving out one VIP ticket and a signed T-shirt by FC Sevilla. You can choose what match you want your VIP ticket to be for. You can choose an exciting Europa League match with FC Lazio, or if you want to see Messi’s greatness, there is a match with FC Barcelona. My choice would be to see Messi since he is considered one of the greatest players ever, but that is just my opinion. However, there are some requirements that you have to fulfill to be eligible to participate. First, this is only available for new clients that haven’t participated in any other EverFX promotions. You have to submit a request that you want to join in the EverFX promotion. You need to pass the KYC registration process successfully. And you need to deposit a minimum of 250 euros. You cannot have more than one registered account. Also, internal money transfers are not allowed. And last but not least, to receive your gift you have to pass the EverFX compliance procedures and checks, and provide proof of your deposits when and if EverFX request them. After you finish all the requirements you need to fulfill, now let’s see how you can win your prizes. For the signed T-shirt by FC Sevilla. The winners will be randomly chosen by an independent service, and they will be announced on EverFX website until the 19th May 2019. And, for the main prize, the winner of the VIP ticket that you choose (Barcelona, my little suggestion for you) will be the clients with the highest deposited amounts. There will be a deposit leaderboard for you to check if you are at the top. This is one of the most special Forex promotion in the world. If you are a football fan, what are you waiting for? Go and check out this EverFX promotion! EverFX’s Give Away promotion of Apple products like iPhone Xs, iPad Pro, and MacBook Air. This is not a bad forex promotion by EverFX, especially if you like Apple products. So let’s see what the requirements for you to fulfil are. This EverFX promotion is available for new and current clients of the company that haven’t participated in other promotions or are currently participating in another promotion. You need to register a new trading account for this specific EverFX promotion. Afterward, you need to send a request to the company saying that you want to participate in the EverFX promotion. After EverFX assesses that you are eligible to participate, you will get an email from the company, and then you have three months to win your prize. First combination: Round-Turn lots of 500 on FX and CFDs on Commodities or 5,000 on CFDs on Indices, can win you any of the gifts mentioned. Second combination: Round-Turn lots of 650 on FX and CFDs on Commodities or 6,500 on CFDs on Indices, will win you an iPad Pro. Third combination: Round-Turn lots of 900 on FX and CFDs on Commodities or 9,000 on CFDs on Indices and the prize would be when you complete this is a MacBook Air. 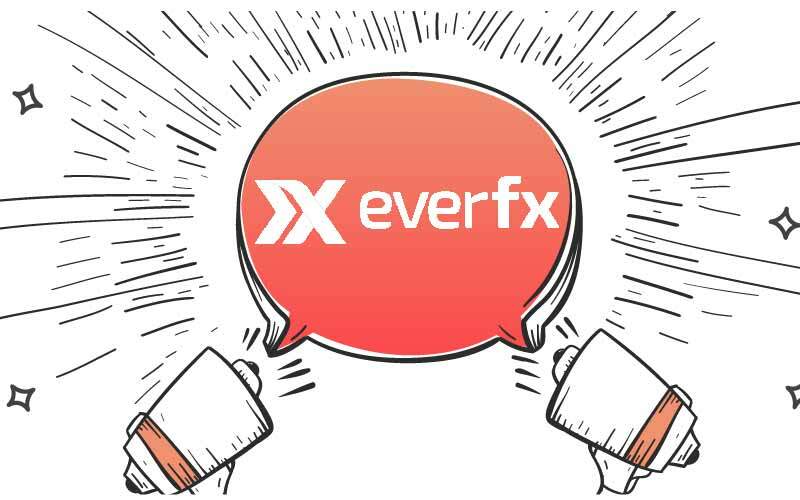 After you complete the required trading volume, you will need to submit a request to EverFX promotion email so you will be able to claim the relevant prize. Also, trading volumes on CFDs on Cryptocurrencies and CFDs on Shares, positions held for less than 1 minute will exclude you from the promotion, therefore be careful. Now that you know what you need to do Apple fans, why not try and earn some money and win your favourite product while doing that. Giving away VIP tickets for FC Sevilla match and also the Apple products. EverFX certainly has one of the most unique Forex promotion in the Forex world. Seems like they are trying to support their claims about their great client relations. This opportunity has certainly intrigued me. How about you? Knowing what you need to do are you ready to win yourself a prize that you want?